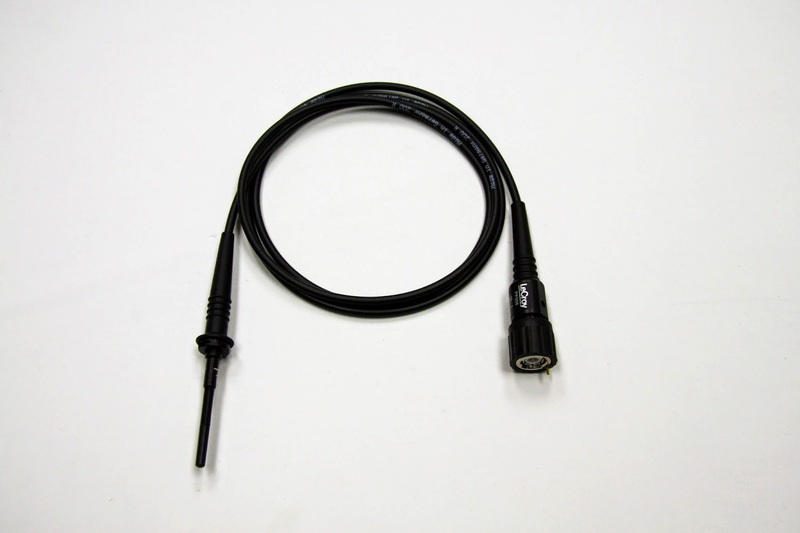 What does exist is a good deal of confusion about what can be done to coax probes to behave more like that ideal probe. We often hear terms such as "calibration," "correction," "compensation," and "de-embedding" tossed around, often interchangeably. All of them do involve how the measurement system accounts for the probe's effect on the signal under test. But let's take a look at them and see how they actually differ in practice. One possible approach is to employ a calibrated, precision instrument -- usually a vector network analyzer (VNA) -- to measure the probe's actual magnitude and phase response. With those measurements in hand, one might build a correction filter that removes the undesired effects of the probe's frequency response characteristics from the acquired signal. Using a precision instrument to measure a probe's performance and making some adjustment (the correction) to its output to nudge it toward ideal performance is, by definition, a calibration. Why? Because it involves measurements made to traceable standards. The correction is but a part of this overall calibration process. Then there's compensation, which should be familiar to anyone who's used a common bench oscilloscope and a passive probe. The probes usually come with a little plastic screwdriver. When you connect the probe to the oscilloscope, you use the little screwdriver to turn a trimmer capacitor on the probe's plug end. In doing so, you adjust the probe's output impedance to match the input impedance of the preamplifier on the input channel you've plugged it into. With high-bandwidth oscilloscopes, the compensation process is a little different in that the probe correction and scope-channel correction are convolved together. As a result, the entire measurement system behaves in a very controlled fashion across the instrument's full rated bandwidth and even beyond. These days, one will come across the concept of probe de-embedding. which involves accounting for reflections from the probe tip along the transmission line that it's connected to. Using models of the probe tip's loading impedance, the impedance profiles of the transmission line, and components in the circuit, one may account for reflections from components that travel back to the probe tip and affect measurements. Usually, the probe loading is enough that reflections from the probe are minimal, making the need for probe de-embedding a relatively rare one. In later posts, we'll take a closer look at probe loading, a topic that engenders many questions for oscilloscope users as well as potential misunderstanding.